Anoud Al Ali, 20, a self-described bisexual, atheist, ex-Muslim, feminist activist from the United Arab Emirates, took video of herself setting her hijab on fire. “For me, being oppressed, and for all other women who are oppressed, I’m going to burn this hijab; the symbol of oppression,” she said. Ali then placed her hijab into a cardboard box, doused it with gasoline, lit a match, and set it on fire. Ali currently lives in France. The hijab was made compulsory, or mandatory, during the Islamic revolution of 1979. The Daily Mail also reported that on Friday, police in Tehran arrested 29 women for appearing in public without a headscarf. 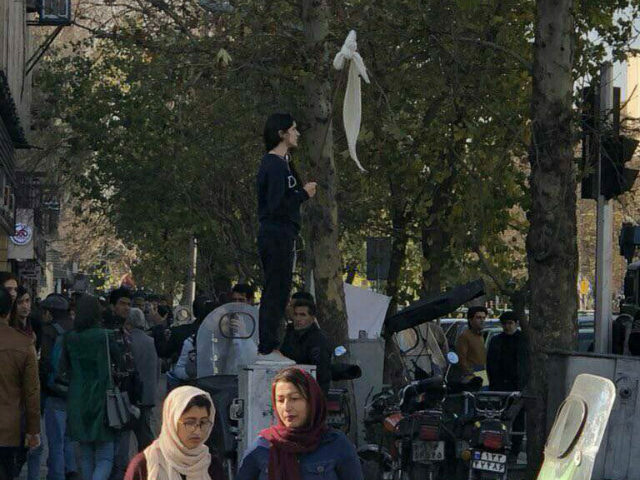 One day before the December 28 protests began, Iran said police will soon stop arresting women for violating Islamic dress codes and instead send them to police-run classes on “Islamic values.” However, Friday’s spate of arrests appears to contradict the Iranian regime’s statement.